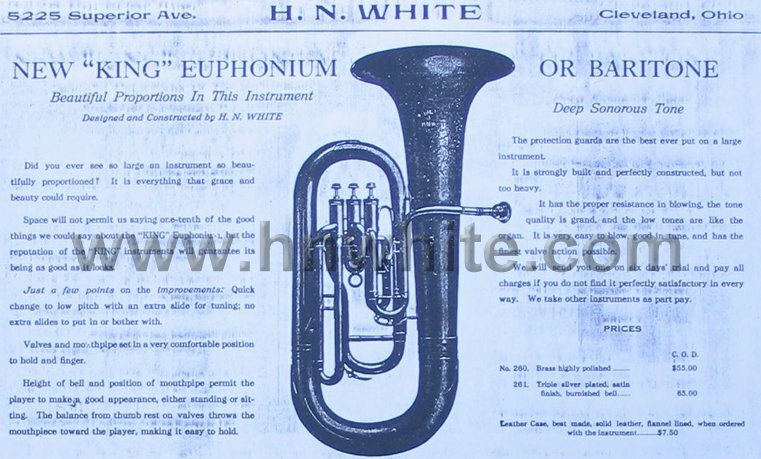 From The H. N. White's Company's earliest days, they made the finest euphoniums and baritones on the market and led the way in innovation and quality. 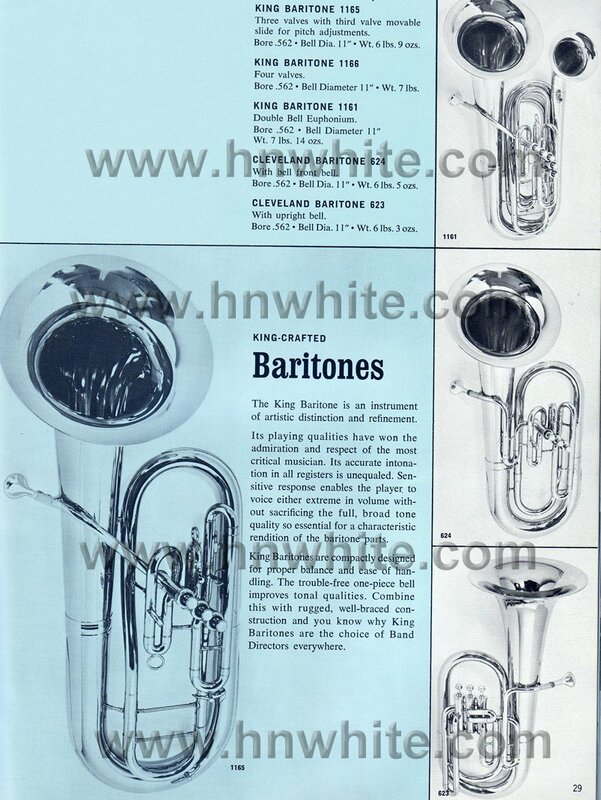 Both euphoniums and baritones were manufactured with special attention to the tone and volume made by each instrument. 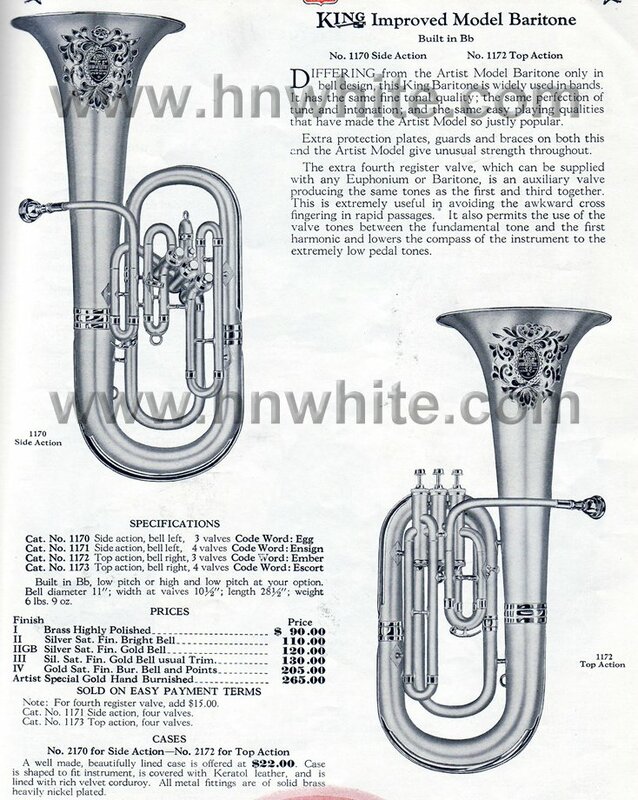 The H. N. White Company made the following brands: King, American Standard, and Cleveland euphoniums and baritones. 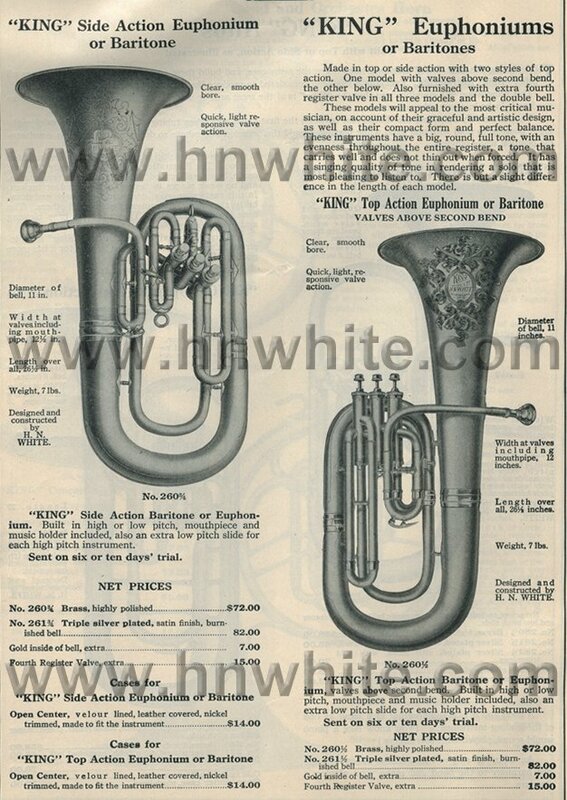 The H. N. White Company made all of its own euphoniums and baritones and did not stencil any for other companies (that I know of). 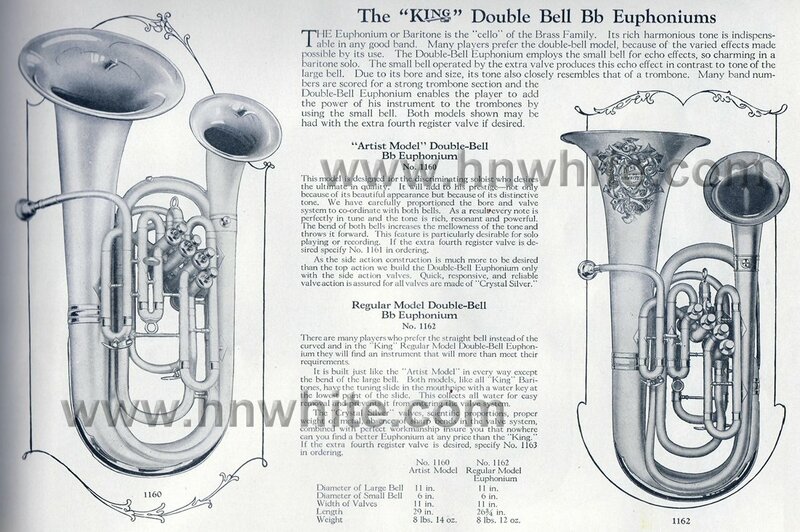 #261...Triple Silver plated, satin finish, burnished bell. Side Action and Top Action Models. Production start is unknown. 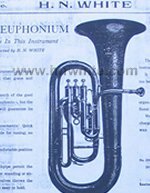 Euphoniums were featured until the 1924 Complete Catalog. 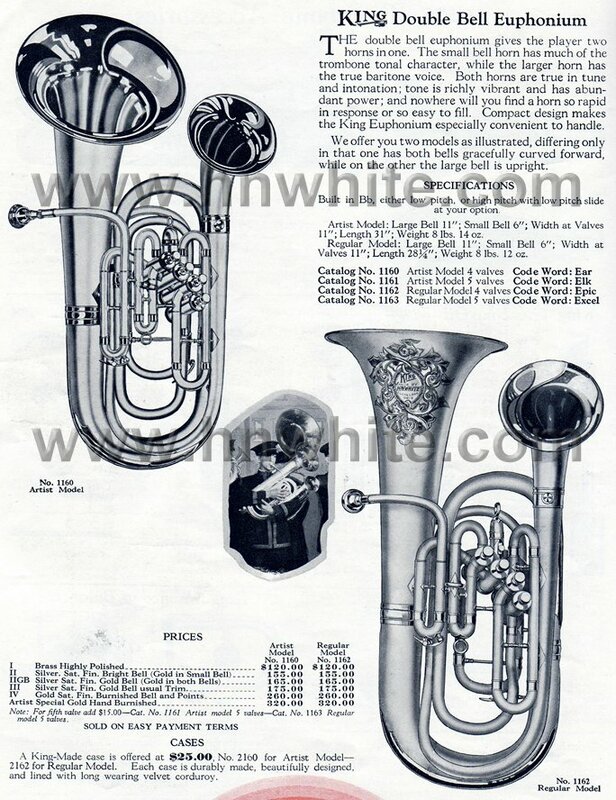 #271...Triple Silver plated, satin finish, burnished bell. 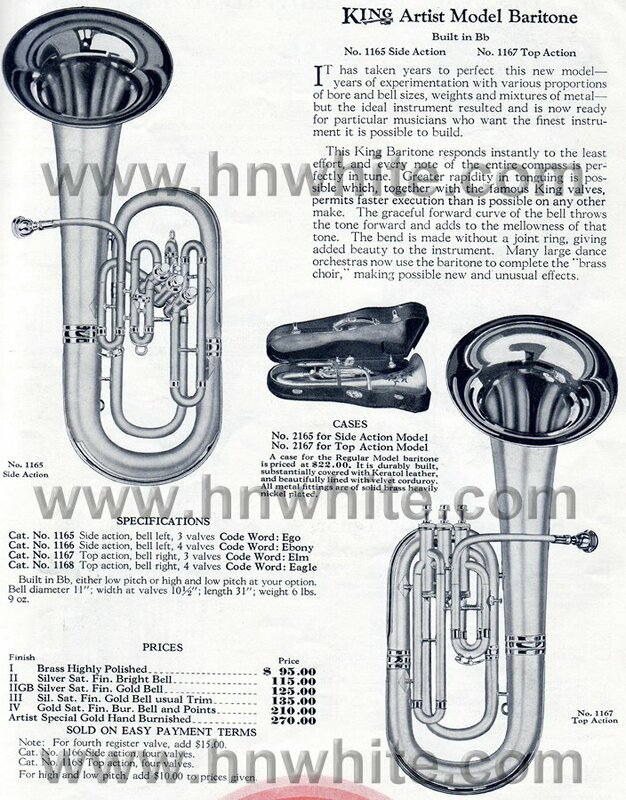 #271...Triple Silver plated, satin finish, burnished points and bell. Weight: 8 Ibs. 14 oz. #1160-B...Artist Model, four valves. Listed on catalog page but not pictured. 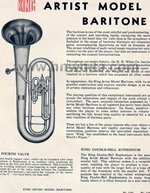 Note: In 1949-50 model #1160-B was changed to #1161. Weight: 7 Ibs. 14 oz. 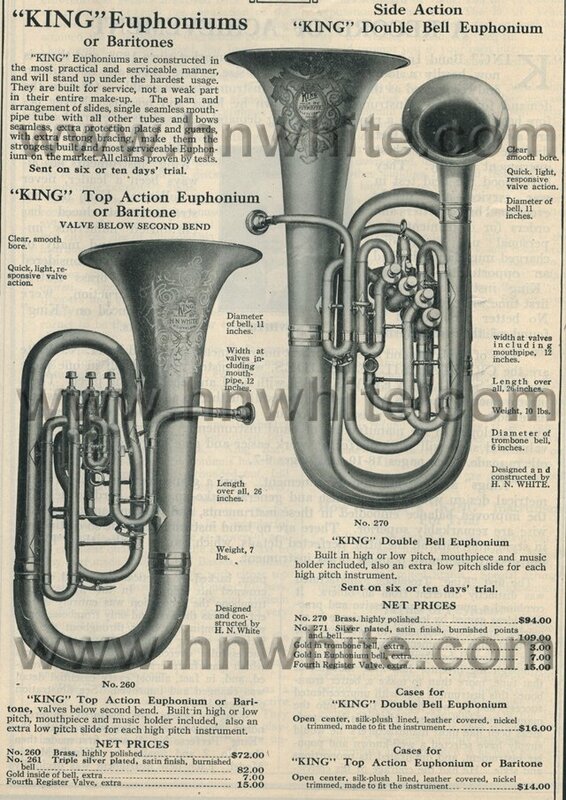 #1161...King Baritone (Double Bell Bb Euphonium). Production start is unknown. 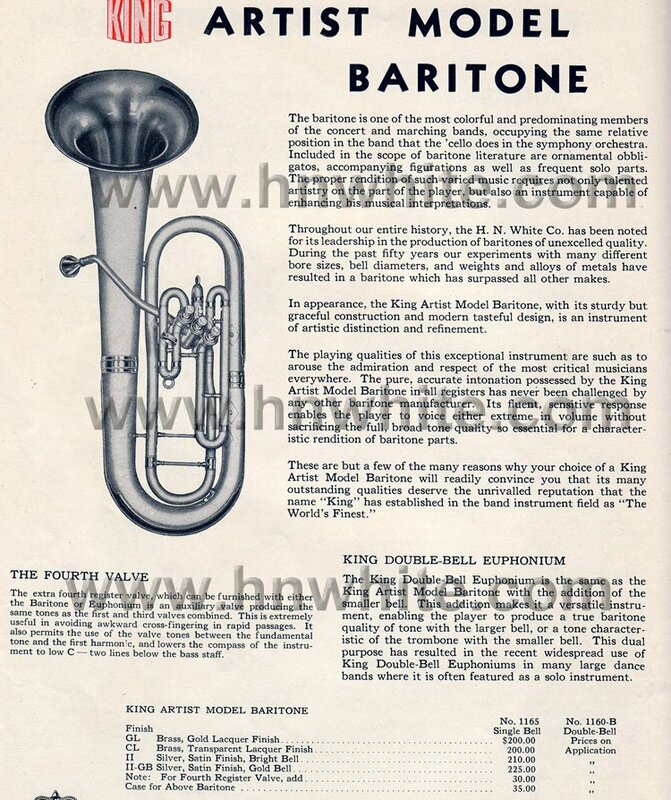 The King baritone remained unchanged until the company was sold in 1965. Weight: 6 Ibs. 9 oz. 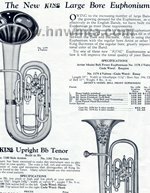 #1165...Side action model with bell to the left, three valves. 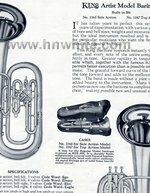 #1166...Sames as 1165, but with fourth valve. 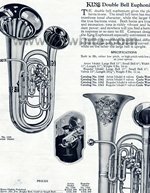 #1167...Top action model with bell to the right, three valves. #1168...Sames as 1167 but with fourth valve. 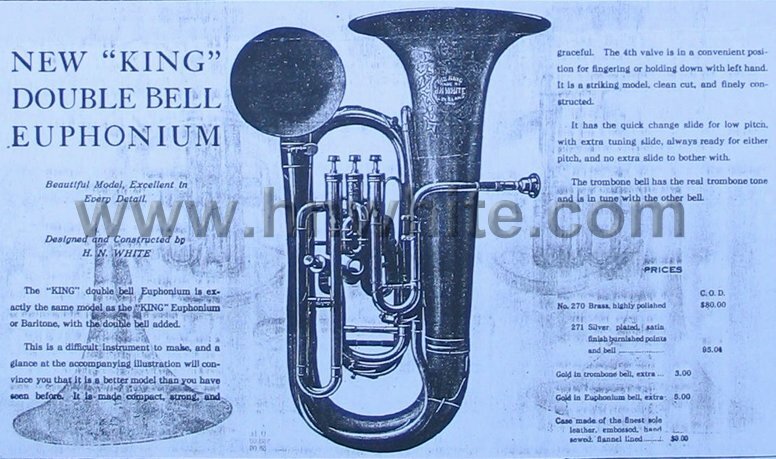 Model Numbers: #1165...Side action model with bell to the left, three valves. Note: By 1940 1167 was no longer featured in the catalog (WWN#12). 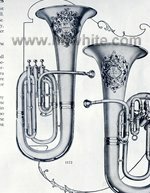 #1165...Side action model with bell to the left, three valves or four valves. 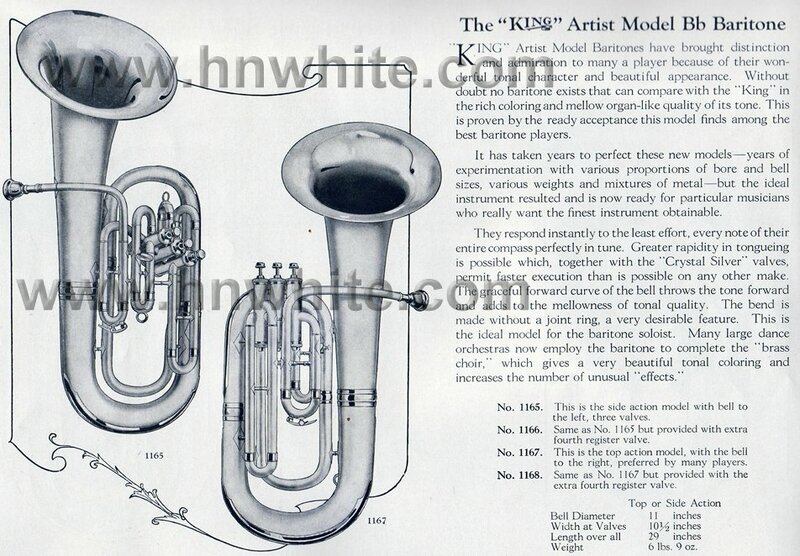 #1160...Artist Model, four valves, Double Bell. Not pictured on page but listed. 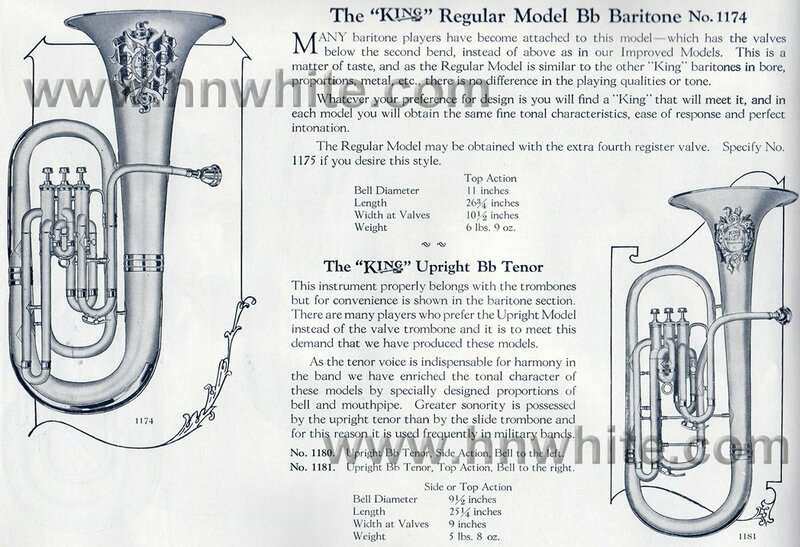 Production started around 1922-23. 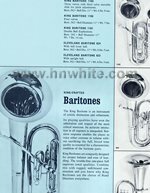 The 1963 King baritones remained unchanged until the company was sold in 1965. 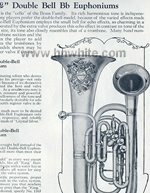 #1170...Side action model with bell to the left, three valves. 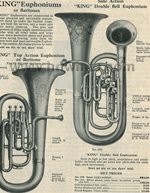 #1171...Sames as 1170, but with fourth valve. 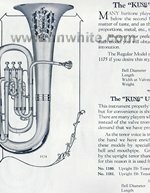 #1172...Top action model with bell to the right, three valves. 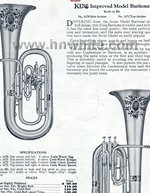 #1173...Sames as 1172, but with fourth valve. Production started around 1920 and ended with the stat of WWII. 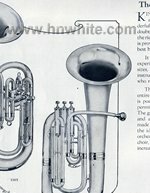 #1175...Sames as 1174, but with fourth valve. 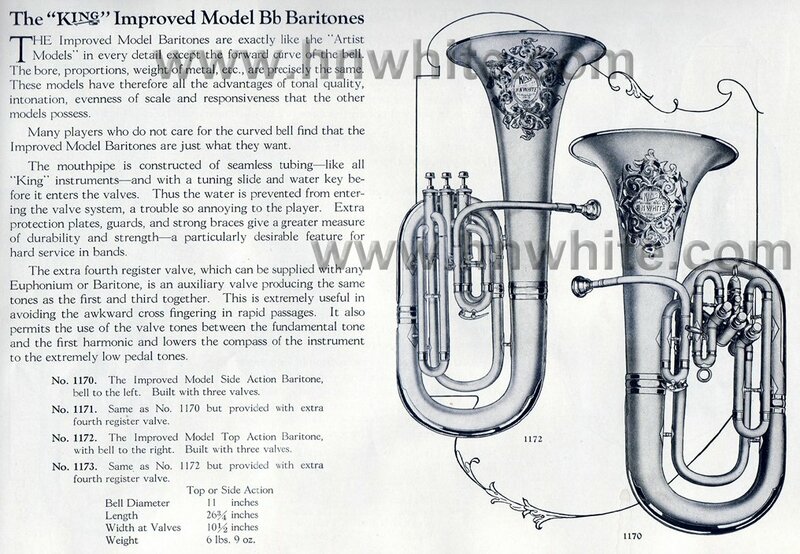 Production of the Regular model baritone started around 1920-23 and ended by 1927. Weight: 8 Ibs. 6 oz. 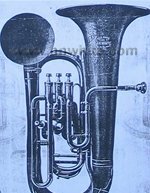 #1179...Sames as 1178, but with fourth valve. Six types of finishes available. 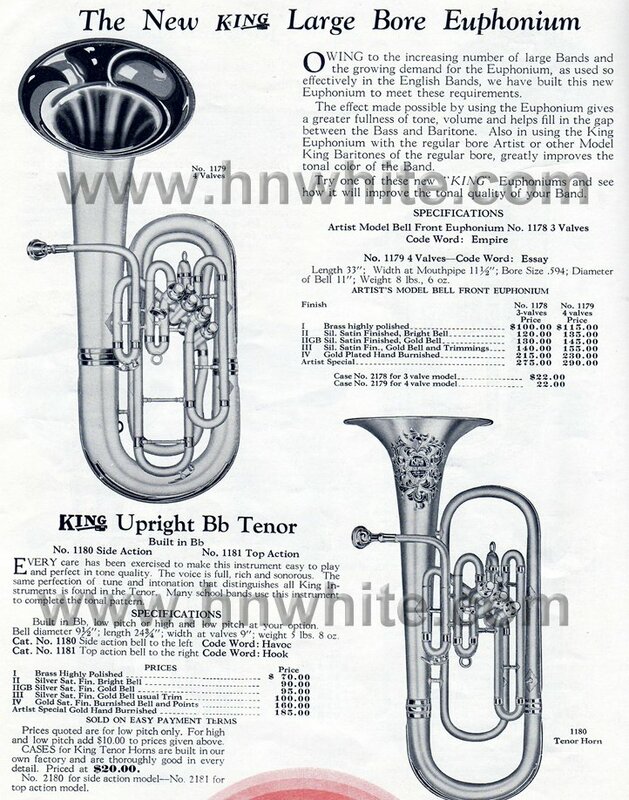 Production Started on the large bore euphonium around 1930-32.